First of all, blessed Autumn Equinox (or Harvest Home/Mabon/Feast of Avalon/whatever you prefer)! 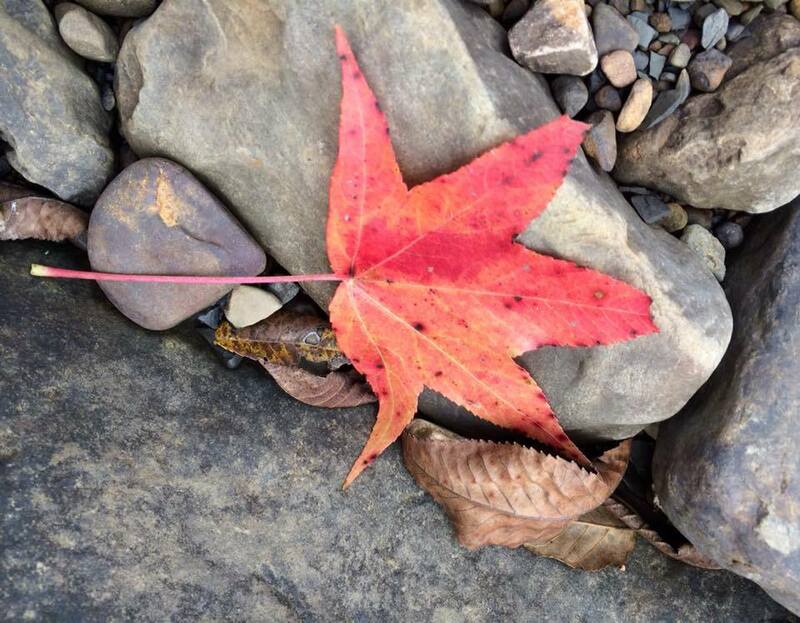 This season is my favorite, often filled with both peaceful moments in nature and joyful moments with friends and family. I hope you all experience the same. This morning I reshuffled the Halloween Oracle deck in the way that clears patterns out of it, which seems to happen after you’ve used a deck for a while. 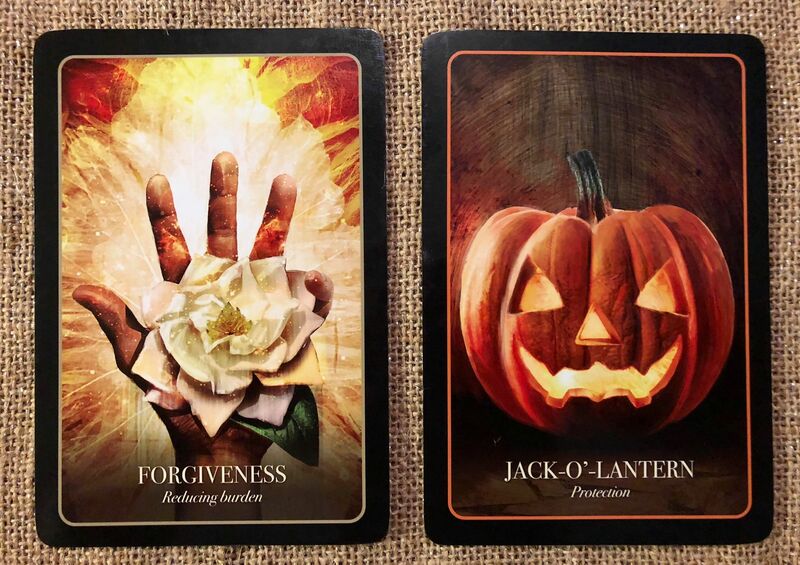 Much to my surprise, the Forgiveness card came back up front and center – with the Jack-o-Lantern (which represents protection) being equally strong. Personally, I would take this as a reminder that sometimes forgiving someone is for yourself – and forgiving them doesn’t automatically mean you should let them get close again. What’s your take on this duo?